The puffed pancake, or Dutch baby, is one of those super simple breakfast items that seems to really wow people. I got this recipe from my mom. It's another one of those she picked up somewhere that no one can exactly remember when or how or where it actually came from. It's one of Justin's favorite breakfast foods that I make. 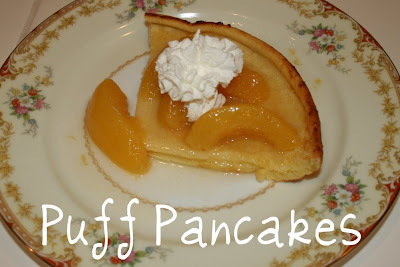 It's tasty with cut up fruit and flavored syrup, or with my creamy fruit dip, or done up simply like reular pancakes with butter and maple syrup. Eric likes it too. So if the kid eats it, you know it's good for the whole family. 1. Preheat oven to 425°. 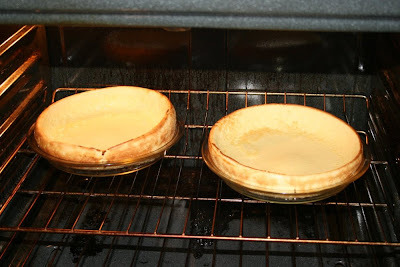 Place butter in a 9-inch pie dish and put in oven. 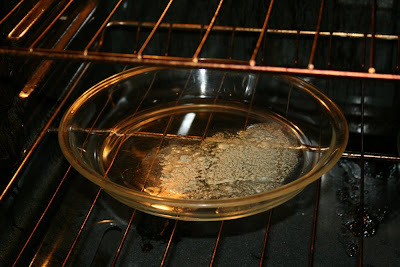 Remove dish from oven when butter has melted and is sizzling, but not burned, about 2-4 minutes. 2. Meanwhile, beat other ingredients together until smooth. Pour into sizzling dish. 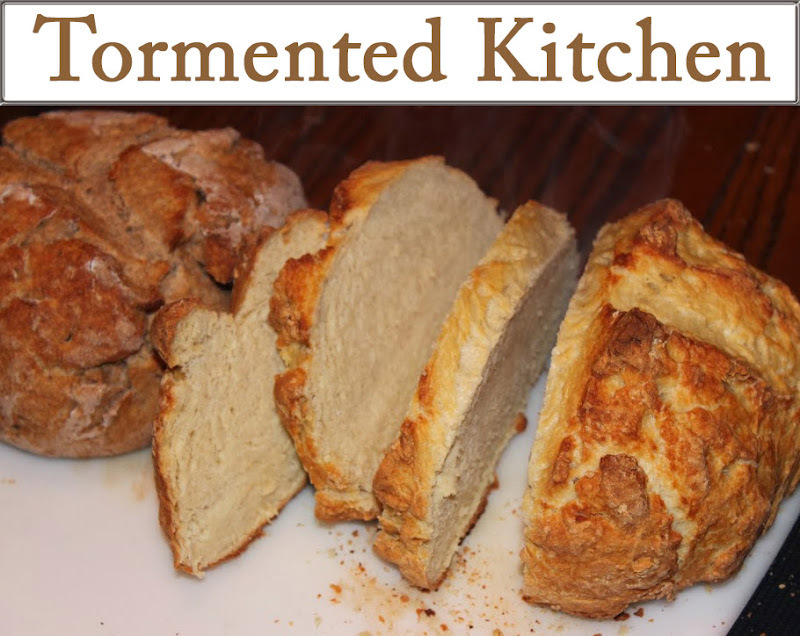 Return to oven and bake at 425° 11 to 18 minutes, or until puffed and golden brown. Note: This can puff up 2 inches or more above the rim of the dish, so be sure the oven racks are set far enough apart.